MITZI is delighted to welcome Jack (2) into her care. 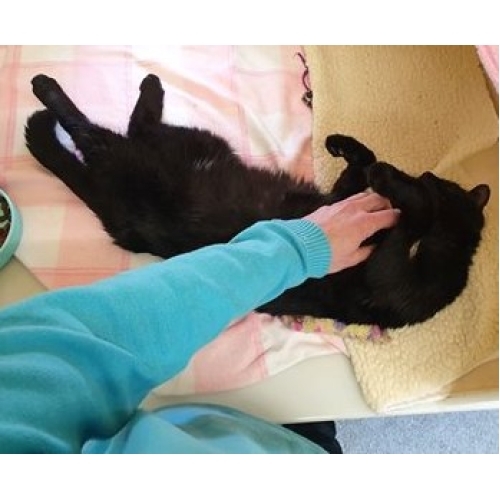 Jack has already made an impact at our rehoming centre - loving cuddles and lots of fuss - particulary a tummy rub!. He was also a great hit with his foster carerer who has had the opportunity to enjoy his company for a short while in his home. Owen says he is a lazy boy who likes to snuggle up in his bed. He also loves his food. He isn't a playful cat, instead he likes to observe. For a 2 year old he has an old spirit - a well mannered boy who wouldn't jump up on any of Owen's furniture. Owen would fuss him by sitting on the floor with him. He would lay next to Owen's feet when he sat on the chair and followed him around - like having a dog more than a cat. He is a gentle boy, although not overly keen on being groomed. He has a squeak rather than a meow which is funny on such a big cat. He needs an adult home and would be perfect for someone who wants a companion, always by their side. Owen says he has been by far the easiest cat he has cared for. 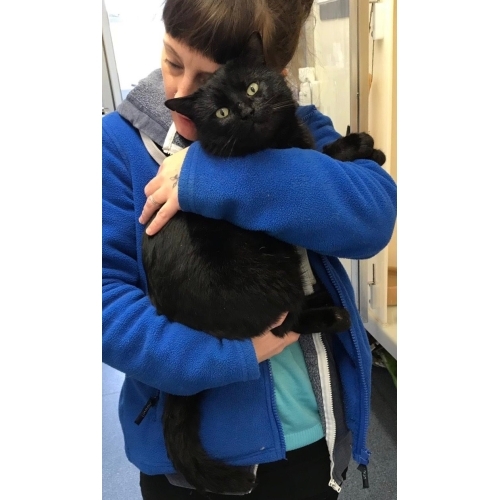 Jack is waiting to meet you at our lovely rehoming centre at the luxioury cattery, Cool For Cats (open 9-12 Monday to Saturday) https://www.coolforcats.org.uk/ open monday to Saturday 9-12 For more information and to arrange to meet Percy please text/ring Liz on 07730 844954 . Ps as always please check out our facebook page Mitzi's Kitty corner for more info and updates.